Space is a highly challenging environment — as more and more countries launch and retire their spatial assets, the space surrounding Earth has become increasingly more congested. From 2014 through 2016, there were 264 orbital launch attempts. This number of launches will only increase with time, with several aspirational concepts for mega-constellations under consideration. Space is also an increasingly contested location, with an ever-expanding electromagnetic interference environment (EMI) — benign and hostile. Additionally, there is evidence of the use of anti-satellite technologies (ASAT), with dramatic kinetic effects against targeted satellites as well as the orbital environment, with the resultant debris. With the acknowledgement by the U.S. government and the nation's Allied partners, the threats to satellites has evolved from a benign environment of solutions and discovery to a warfighting domain — just like air, land, sea and cyber. This, of course, has necessitated a shift in how the industry responds to and, more importantly, deters such threats. The manner in which we respond will directly impact the missions of U.S. Department of Defense (DoD) users, who need immediate and assured access to resilient, robust and secure satellite communications (SATCOM) around the world, across the full spectrum of engagement. Both the commercial sector and government leaders have acknowledged the issues and are taking steps to work together to create a more protected and resilient space environment that will improve the space capabilities for our servicemen and women. Through collaboration, the U.S. has demonstrated the validity of the tremendous leadership support that has emerged for the development of an integrated SATCOM architecture. This architecture also requires a strategy that meets the objective interests of rapid and cost-effective commercial innovation for greater resilience and operational diversity. In the SATCOM industry, a business model exists that provides critical communication infrastructure, from end-to-end, that is a force multiplier for the warfighter with a major operational effect on a worldwide basis. This model comes in the form of SATCOM as a Service (SaaS), which ensures reliable, affordable, robust and seamless state-of-the-art capabilities that are fully interoperable and compatible with government systems. 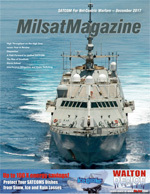 Though, even with the advanced maturity and ubiquity of telecommunications provided via SATCOM, there remains a divide between historical military acquisition and use of SATCOM through leasing of spectrum (MHz) versus how the industry provides and users buy services — as a capability to support the mission whether enterprise or consumer. As a result, the adoption as well as the implementation of an integrated, unified architecture leveraging SaaS that provides the capabilities to meet mission requirements, still faces barriers. Technology is not the impediment; however, the process and cultural impediments are what need to be addressed. One such impediment is budget. Not the lack of budget, but where the financing is actually derived, as the U.S. government predominantly pays for the nation's critical commercial SATCOM using Overseas Contingency Operations (OCO) funding. One-year episodic, non-appropriated funding does not provide a stable foundation on which to acquire mission-critical SATCOM. This could also lead to the misperception that MILSATCOM is “free”, while COMSATCOM is not. An integrated architecture that funds, in the appropriated budget, the entirety of SATCOM is essential. Key SATCOM responsibilities are now distributed in a fragmented pattern across the Office of the Secretary of Defense, U.S. Strategic Command (USSTRATCOM) Joint Staff, each of the military service entities and the Defense Information Systems Agency (DISA). Subsequently, military services acquire terminals and embed them into programs of record, with the effect that there may be no direct correlation to their respective communication information requirements, nor the supporting space system timelines; this can lead to misalignment, a series of stove-piped efforts and the lack of a cohesive operational capability. 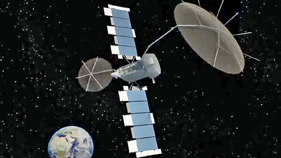 Well known is that the traditional model of leasing spectrum from broadcast-centric fixed transponded satellites is inefficient, making COMSATCOM acquisition for the military a “guessing game” as to how much bandwidth will be needed and over which region. This is ineffective and costly in an era wherein new flexible and affordable business models, such as SaaS, are available that greatly enhance efficiencies and responsiveness to meet DoD and other national security and federal government requirements. Adopting these models into the architecture is a cultural shift whose time is overdue. Interestingly enough, this approach of “as a Service” is already widely employed across the government for a wide range of mission-critical telecommunication capabilities. Today, the gap between current and desired SATCOM architecture and the misalignment of federal procurement process and organizational cultures create challenges that are resulting in increasing risk of the government’s ability to meet military SATCOM requirements in this changed and contested environment. General Jay Raymond, Commander, Air Force Space Command, announced in April the formation of the Space Warfighting Construct, which will combine enhanced situational awareness and responsive command and control to support a vision of a space enterprise that can fight through conflict. In addition, General Raymond unveiled the development of a Battle Management Command and Control (BMC2) system that will enable commanders to simultaneously maneuver space assets and direct defensive operations against multiple threats while maintaining space capabilities for military users. These initiatives and the strategies behind them are necessary because space is contested, degraded and operationally limited, and the DoD must endure this environment to ensure maximum capabilities. They promise to make the Space Enterprise Vision a reality, by transitioning to a more robust and resilient architecture underpinned by better situational awareness and responsive command and control. They acknowledge that the national security objectives are achieved through partnerships among the U.S. government, its Allies and the commercial sector. Speaking during a June breakfast at the Air Force Association’s Mitchell Institute for Aerospace Studies, Air Force General John Hyten, Commander, USSTRATCOM, noted that in order to meet his three priorities — strategic deterrence, decisive response and a combat-ready force — the DoD must “go fast” and take risks, to accomplish advancements more expediently than our adversaries. That spirit of innovation and risk-taking still exists in the U.S., especially in the private sector, General Hyten said, as industry develops and tests innovative technology more quickly — and for a lower cost — than the military. The initiation in January of the Analysis of Alternatives (AoA) for wideband communication system on the part of the DoD has inspired optimism across the industry, and for good reason: Through the AoA, leadership intends to build the next generation of infrastructure to replace the legacy Wideband Global SATCOM (WGS) program and provide the U.S. government with a resilient architecture rather than just another copy of the satellite program. In unprecedented fashion, this AoA has a Commercial Working Group intended to integrate perspectives and input from industry leaders about the best ways to move forward. This is a significant reflection of what the private sector offers to the military’s operational picture. The U.S. Air Force announced in June that it plans to formally and permanently establish a commercial presence within the Joint Space Operations Center (JSpOC). This follows the initiation of the Commercial Integration Cell (CIC) within the JSpOC in June of 2015, in which now seven commercial companies partner with the U.S. government via Cooperative Research and Development Agreements (CRADA). This partnership enables industry and the government to exchange technology and information on a collaborative basis, increasing the degree of integration, space situational awareness, and EMI resolution while enhancing the command and control capacity of the Joint Functional Component Command for Space under the U.S. Strategic Command. The potential revising of LPTA standards comes as welcome news, particularly for SATCOM acquisition, as the LPTA methodology imposes an assembly-line mentality to contract awards. When SATCOM is treated as a commodity, the realities of mission complexity and a dynamic and evolving threat environment are disregarded. The current LPTA approach is out of sync with the DoD leadership’s emphasis in space and its critical dependence on commercial for its resiliency requirements. • Organize, train, and equip personnel and operations of the space forces of the Air Force. • Serve as the service acquisition executive for DoD space acquisitions, at the discretion of the Secretary of the Air Force. • Procure all COMSATCOM for the DoD one year after the NDAA date of enactment. • Terminates the Principal Department of Defense Space Advisor (PDSA) office and transfers all existing duties, responsibilities, authorities and personnel to an official (other than the Secretary of the Air Force) selected by the Deputy Secretary of Defense. • Terminates the Defense Space Council. • Terminates the Air Force Space Operations Directorate (A-11). • Re-designates the Operationally Responsive Space Office as the Space Rapid Capabilities Office. • Holds the Deputy Secretary accountable for ensuring the reorganization of space within the DoD. • Recommends the creation of a Functional Capability Board for space to improve joint space requirements and give the United States Strategic Command authority to approve any budget request for service terminals. When these developments are looked at as a collective whole, government leadership clearly recognizes the importance of strategic and consistent leadership in space. This extends to the SATCOM capabilities where COMSATCOM provides users with ready access to resilient, robust and secure capabilities across the full spectrum of engagement. Importantly, this is supported by evolving policies and a strategy that drives satellite acquisition away from the aforementioned piecemeal and antiquated procurement model, which may lead to removing decades-old impediments for success. However, the government evaluations of SATCOM are critical for their effects rather than the perpetuation of the status quo or for an historical perspective. A cultural overhaul must take hold. Imperative is that “commercial first” is looked at first to establish and invest in a viable, reliable future SATCOM architecture — “a path forward” to unified SATCOM. Through this path forward, military users will greatly benefit from a completely integrated SATCOM architecture in which trusted commercial operators lead real innovation, empowering the DoD to consider military SATCOM (MILSATCOM) and COMSATCOM as a holistic capability to best support military missions and yield the optimal effects. As progression is made along this path, confidence will rise that government leaders and lawmakers will recognize that SaaS brings distinct, advantageous qualities to the emergent vision. 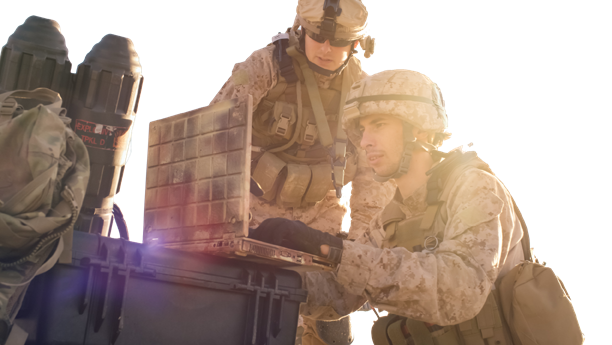 As an end-to-end managed service capability, SaaS provides mobile, high-throughput connectivity the way military users seek it: easily, affordably and operationally available — anytime, anywhere. Unified SATCOM is the path forward with commercial and innovative programs as the foundation supported by modern government business arrangements, inclusive of SaaS. With this, military users will have the reach, resilience and technology modernization to focus on, and successfully execute their missions, through contested domains. As the ongoing and formidable challenges in space are addressed, the military should not settle for anything less — their crucial mission success demands such occur, and occur quickly.